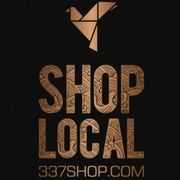 337shop.com connects locals to locally owned businesses. Our mission is to encourage people to shop locally by providing them with a platform to find the goods and services they desire. Rate and review 337shop in Lacassine, LA, United States! Share your experiences at 337shop with your friends or discover more Web Design in Lacassine, LA, United States.